Description: Get the dramatic look with a smooth intense glide. 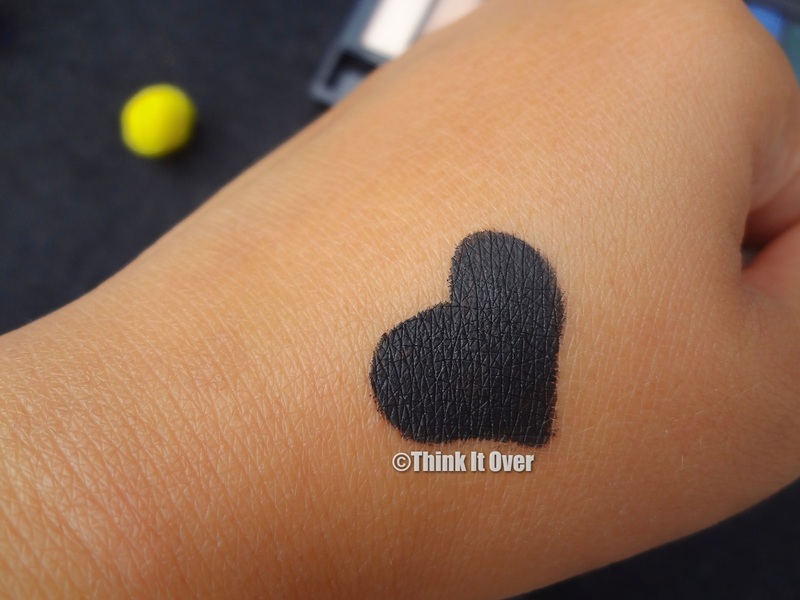 Lasts all day without smudge. Suitable for contact lenses users. Opthalmologically tested, versatile in application. 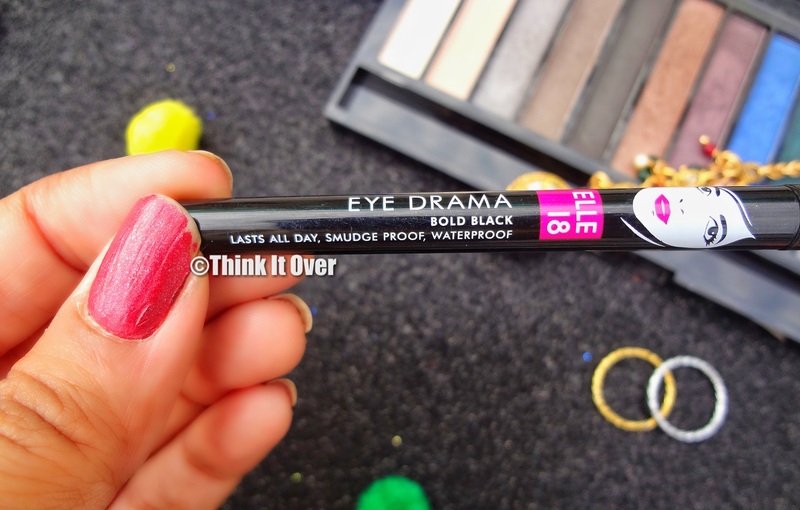 Packaging: The Elle 18 Eye Drama kajal comes in black cardboard with all its information imprinted in white. What caught my eye was the fact that it had no ingredients list! I don’t usually go for kajals which is why I’m clueless if other brands also don’t mention it. We reviewers are pretty suspicious lot, something unmentioned; we equate it to something being hidden. I’d look at their website, if it has some information on this matter. 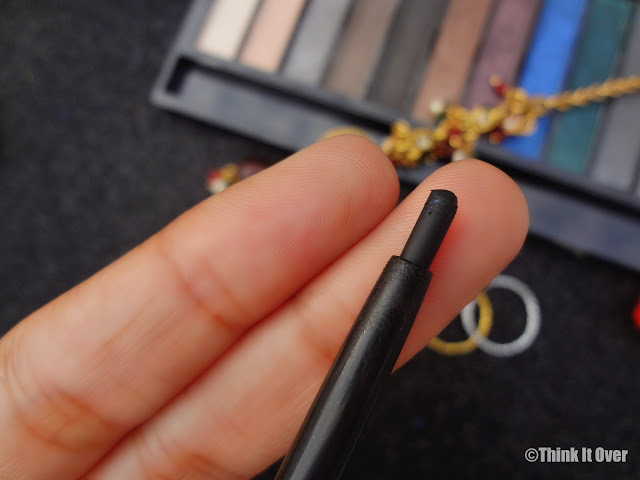 The reason why I don’t opt for kajal/eyeliners is due to the absence of a sharpener within it. You can never get a precise tip to work with. Not that all brands offer no sharpener;if I’m not wrong Blue Heaven comes with one, for their retracable kajal. Anyways, let me stop cribbing and move forth with the review. The formulation; OMG is so buttery smooth, it literally glides on and the colour intensity is truly jet black. 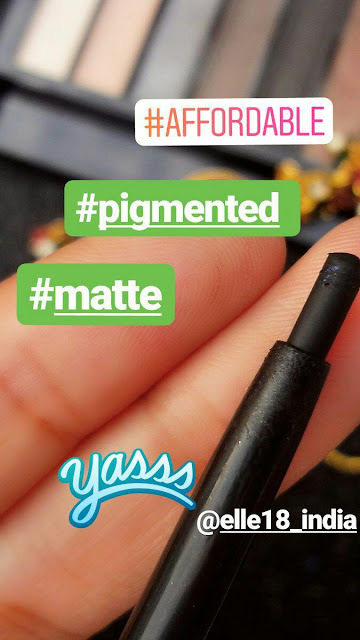 Thankfully, even when the kajal is creamy, it sets quickly into more than semi matte with subtle shine. It does not leave you with raccoon eyes. Onto the smudge test, it stayed unmoved. When I tried to smudge the swatch, it did not budge from its place at all! The colour intensity faded comparatively although. A lot of the times, the traces of this kajal remain behind after I wash my face with facial cleanser. Longevity of this kajal onto the eyelids is more than 8 hours; depending on how oily your eyelids are. Post that, I don’t say it fades or gets off; only until you smudge it after a good long day, it would remain intact. So, it has clearly outlived all the claims that the brand mentions about. YES, definitely! 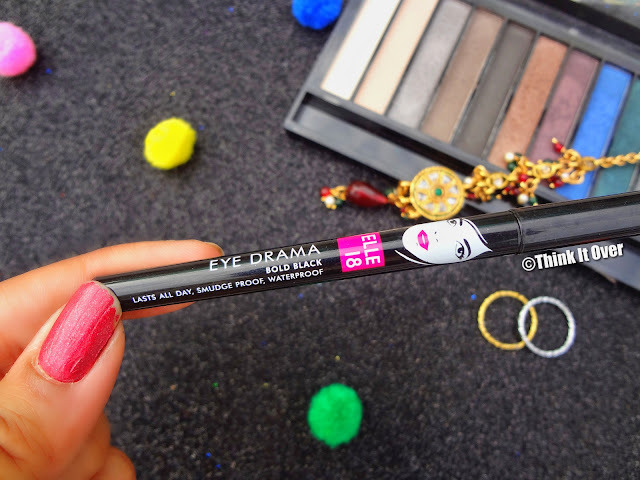 But for the usage as eyeliner pencil only, as I’m not at all a kajal person.